Anglo American Plc will dig more platinum than expected this year, while diamond production from its De Beers business will be at the top end of its guidance range. The century-old mining company released its production results for the third-quarter Tuesday. While there were no major surprises, there was also no new information on its suspended Minas Rio iron ore mine in Brazil that’s scheduled to restart production before the end of the year. Anglo raised its platinum-output forecast for 2018 by about 2 percent to between 2.45 million and 2.5 million ounces, which would be the highest since 2011. The company’s boosting production at a time when prices for the metal are hovering near the lowest since 2008 amid a global surplus. Diamond output will be at the top end of its forecast range of 34 million carats to 36 million carats. While prices remain stagnant and demand uncertain, the company is churning out more stones than at any other time in the past decade. Anglo reported a solid third quarter, with production coming in ahead of expectations for most of the divisions, achieving its aim of consistent “and perhaps boring” results, said BMO Capital Markets analysts. 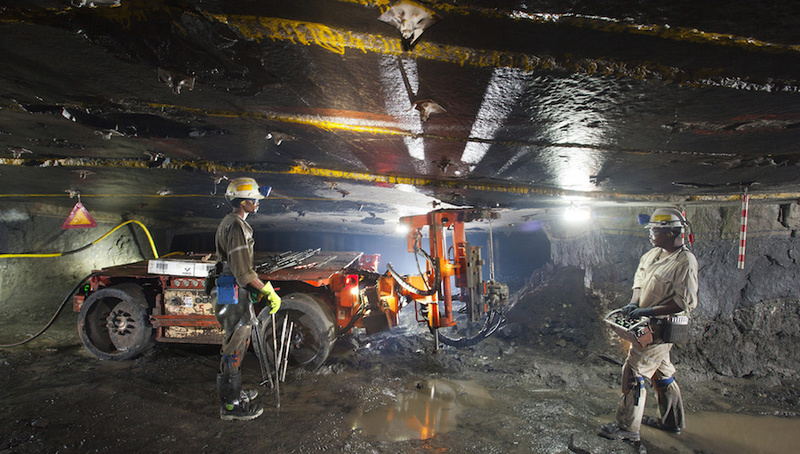 Anglo American fell 2.4 percent in London amid a wider mining and metal sell-off. The FTSE 350 Mining Index declined 1.2 percent. 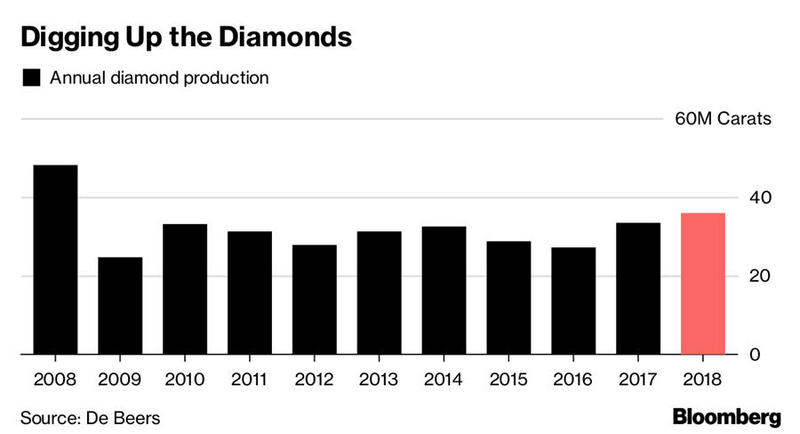 Despite higher production, diamond sales for the quarter were only “broadly in line” with a year earlier as weak demand for low-quality stones led the company to allow its customers to reject some goods. Copper, coal, nickel and iron ore production is all expected to be within the company’s previous guidance. Minas Rio, where production was suspended earlier this year, is expected to restart this quarter, although the company didn’t provide any more specifics.